On Saturday, 22 August 1891, an explosion and fire caused the complete collapse of the Taylor Building on Park Place, New York, at numbers 68 through 74. 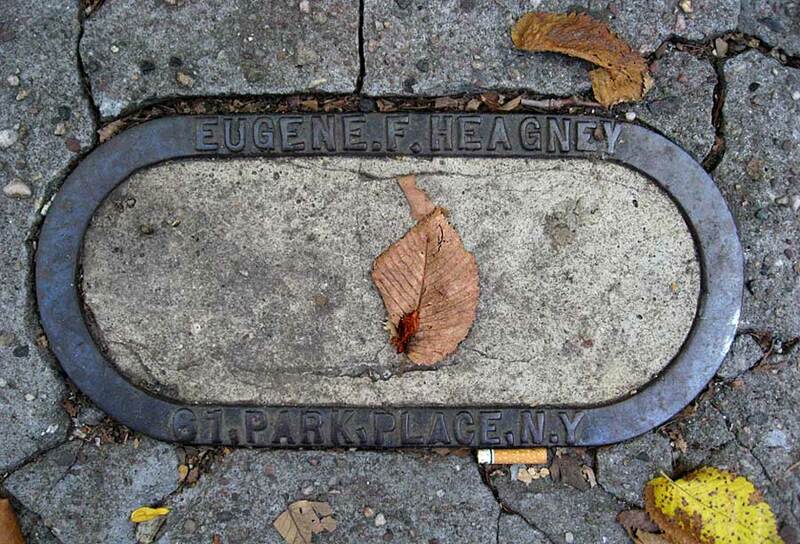 Eugene F. Heagney, was in the collapsed building, as were several members of his family. Firemen clearing the debris rescued one of his daughters, but another lost her life. The New York Times, 23 August 1891, p. 1, reported, "Steadily the firemen worked on, until just before 3 o'clock, when their exertions were stimulated by the sound of a small voice calling piteously for help... Down through the debris the rescuers delved, foot by foot... Then they came to an iron column projecting upward, across which three huge timbers had been thrown, forming a small cavity just sufficiently large to hold the body of the little girl whom they found therein. It was her voice which had stimulated their exertions, and when she was taken out of the dismal pit which had almost proved her tomb alive and free from any serious injury, a great shout of exultation was sent up which was heard and re-echoed by the multitude of people who were being kept in check by the police blocks beyond. "The little girl was taken to the Chambers Street Hospital, where her wounds were found to be merely superficial. A few minutes thereafter the body of her infant sister, a pretty child just past three Summers, was carried from the ruins..."
Heagney's name is twice misspelled in the story, but correctly given in a later section estimating losses: "Heagney, Eugene F., plumber, No. 76, basement and first floor; lost $2,000." Heagney is listed in New York city directories from 1892 to 1933, first at 76 Park Place, then 60 Barclay St. and 59-61 Park Place. In the 1900 U. S. Census he lived at 59-61 Park Place, and his date of birth is recorded as May, 1850. His daughter, Mary, who was rescued from the collapse, is recorded as living with him, now age 20. These dates and ages are suspect. In the 1910 census Heagney is age 54 and Mary 22. In 1930 the Heagneys lived in Floral Park, Nassau County, New York. At that time Mary Heagney was head of household, age 40, a clerk at the telephone company (presumably New York Telephone Co.). Eugene Heagney, age 71, still worked in plumbing. In 1933 the business was located at 195 St. Nicholas Ave.